UFC newcomer Jennifer Maia was already the Invicta FC Flyweight champion, but she has a much more prestigious belt in her sights. 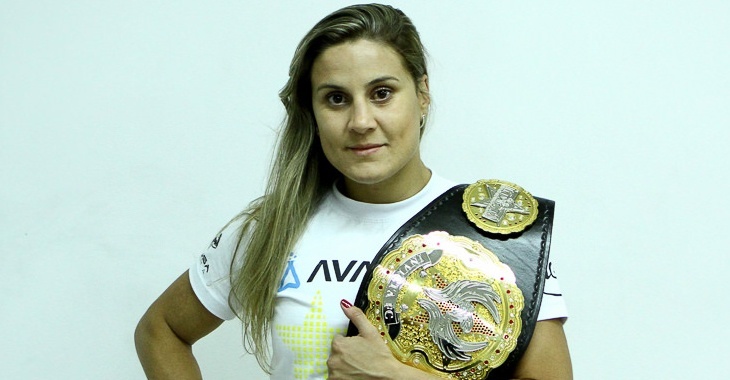 Which has brought her to her debut fight against seasoned competitor Liz Carmouche (11-6). While this is her biggest fight stage yet, Maia has long been considered one of the best Flyweights in the world, with wins over Roxanne Modafferi, Vanessa Porto, and Zoila Frausto. What do you think? Will Maia earn a title shot? Will she beat Carmouche?